Drop cloths are one of the best things out there for people who want to decorate or redecorate their home on a budget — they're neutral, inexpensive, and easy to find at the hardware store! They can be used to make curtains, pillow covers, place mats, and more ... no matter what part of your home you want to transform, a drop cloth is the perfect blank canvas to start with. 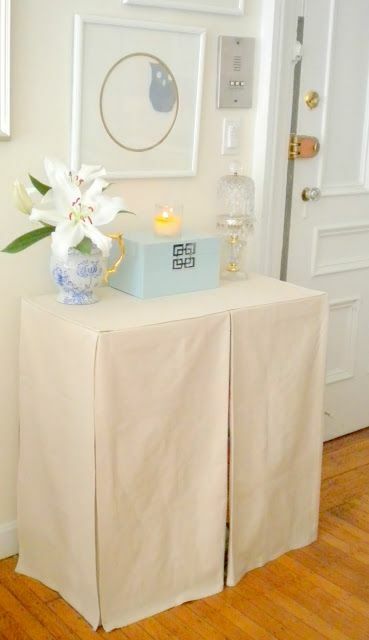 This console table skirt is exactly what you need to hide any clutter underneath the table in your entryway! You could also use this idea to make a skirt for your bathroom sink... it's a great way to make things look more organized. 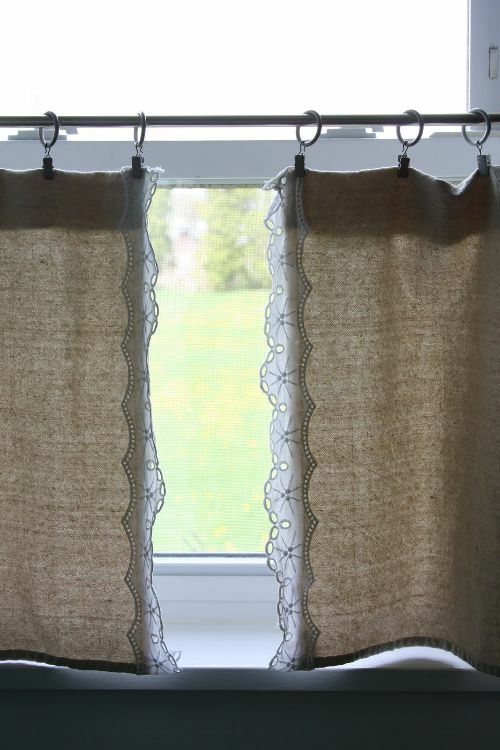 Aren't these lace trimmed curtains just so pretty and feminine? 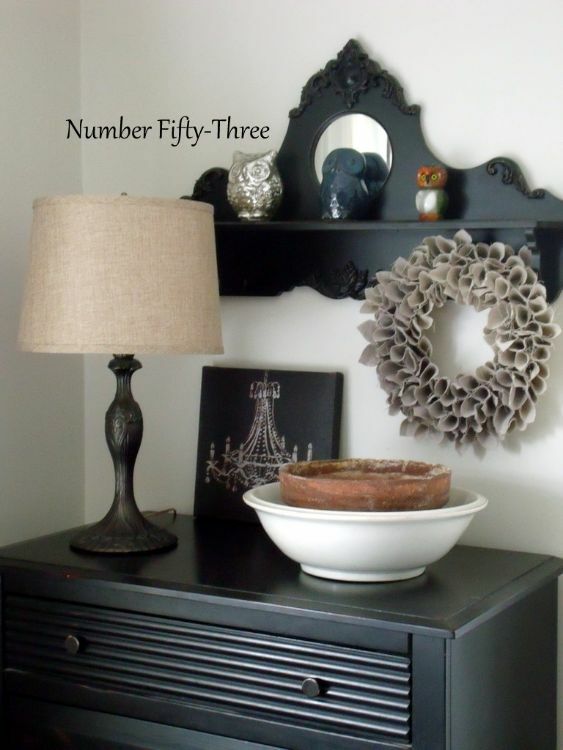 The lace came from a thrift store tablecloth, so this is really an inexpensive project. You don't have to be incredibly artistic in order to make a DIY rug — if you use stencils, you can easily make a pretty pattern like this one! I love that you can completely customize this rug and make it whatever size will best fit your space. If you know how to sew, drop cloths can also be made into stunning pillow covers! 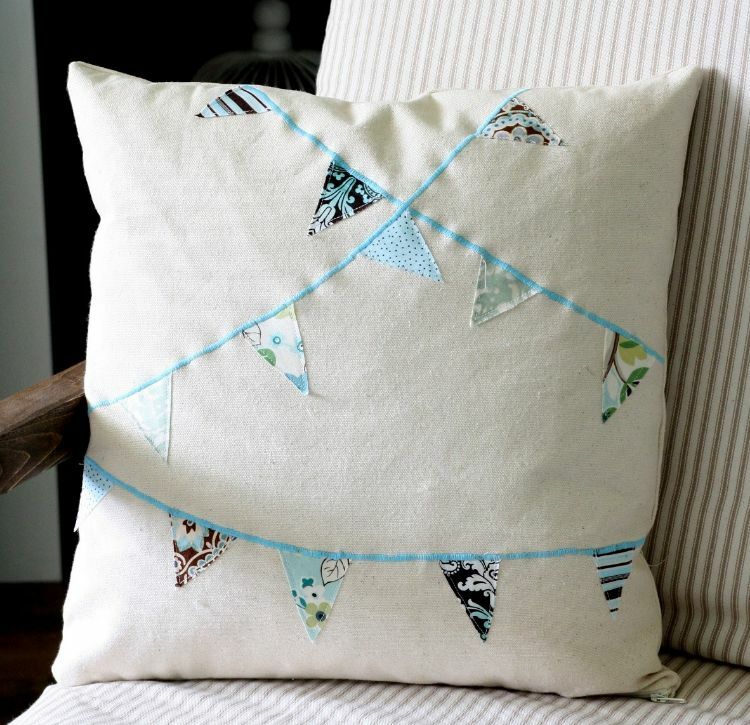 I love the bunting decoration on this one, but you could personalize yours however you like. I would never have thought of making a wreath out of drop cloth! This is so neutral that you could keep it up all year round — it would look great on your wall or your door no matter what the season! 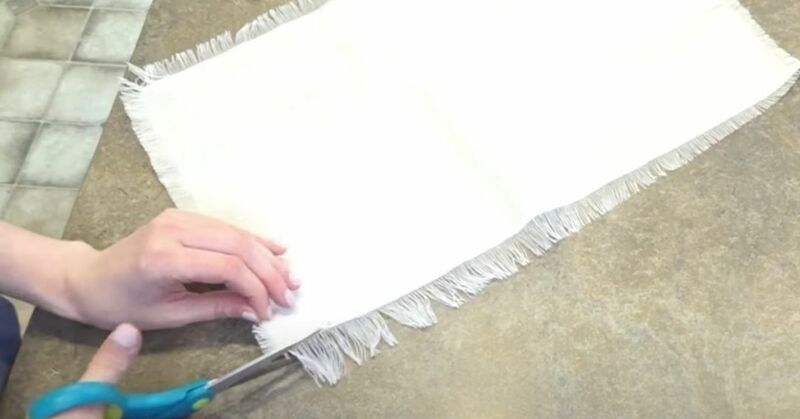 These drop cloth placemats are simply gorgeous, and they're so easy to make. 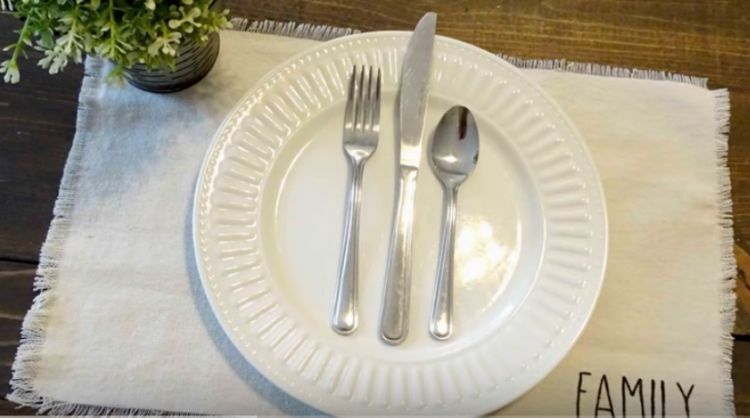 If you don't need a new set of placemats, you could also use this idea to make a pretty table runner!